We’re committed to continuously improving World Walking with our very limited resources while responding promptly to any questions from our users. So at the start of the year we decided to sign up to UserVoice to help us collect feedback and prioritise features. We also use its help desk software to support our customers. One of UserVoice’s handy features is its ‘Satisfaction Rating Widget’. We decided to take the plunge and have a go. We’ve just been looking at the results. We received 183 responses and would like to thank everyone who took part. We’re very pleased to be able to report that those who responded gave World Walking a positive overall rating of 7.3 out of 10 with 70% of respondents giving us the maximum score of 10 out of 10. We’re delighted to see World Walking being used by a charity to help raise funds for the first time. The Diabetes Hope Foundation, based in Mississauga in Canada, was created in 1999 to help families struggling with the financial and emotional challenges of children living with diabetes. Since then, Diabetes Hope has worked in partnership with corporations, families and community partners to support over 1,000 families with diabetes across Canada. 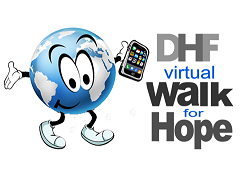 This year Diabetes Hope has decided to revamp their 9th annual Diabetes Walk for Hope in September as a completely new virtual event featuring a Canadian Cities walk which we’ve created especially for their event. All proceeds raised from the event will be used to support Diabetes Hope Foundation’s programmes for young people living with Diabetes across Canada. We hope the Foundation’s 2015 Walk for Hope is a great success. Last year, we were delighted to be invited by NHS Greater Glasgow & Clyde to support its annual walking challenge with the City of Glasgow. This was their first online challenge and we were chuffed to bits when our system helped double the number of participants and distance walked. The 2015 walking challenge has just ended. Over 800 team took part this year, including some from East Renfrewshire, Inverclyde and Renfrewshire Councils. The challenge for the teams this year was to walk the length of Great Britain; all the way from John O'Groats to Land's End. The total distance walked during this year's 6-week challenge was an amazing 468,060 miles; 7.8% up on last year's terrific total. This is the third online walking challenge which the organisations have completed using our system. So far, the overall distance walked is 915,946 miles; equivalent to walking 36 times round the world! That's what you call 'active' staff'. A worldwide walk with a difference to promote heart health has just been completed thanks to World Walking, a unique free website created by a group of ordinary people living with heart conditions simply to motivate people to walk more. The Inverclyde Globetrotters, the heart health group from Greenock which created World Walking. Over 100 individuals and heart health groups took part to complete the 34,000 mile challenge; one of the longest heart health walk ever undertaken and the first online to circumnavigate the globe involving people on different continents. Cardiac rehabilitation and heart health groups and services from across the UK took part ranging from the Highland Heartbeat Centre in Inverness to the Mid Essex Hospital Services NHS Trust. The Mid Essex cardiac rehabilitation team have had so much fun taking part in the Heart & Sole Walk that they now plan to walk another lap of the world…in the opposite direction! “Over 20% of the 750 prisoner population suffer with cardiac related issues. 144 prisoners voluntarily participated in this organized event. This challenge was a fantastic initiative to raise awareness across the establishment and provide additional opportunities for prisoners to get involved in physical activity at the appropriate level. The success of this project has raised awareness of their own health & well-being and increased participation levels across the establishment. As a result, future projects have been proposed to develop the health & well-being of cardiac patients at this prison." This unique event also brought together groups from as far afield as Canada and Australia. The Cardiac Health Foundation of Canada celebrates its 50th Anniversary this year. To mark that important milestone a special walk across Canada was created on World Walking which the 6,000 members of the Foundation’s 30 Walk for Life groups across Canada could tackle together as part of their anniversary celebrations. The walk across Canada was based on the route taken by a young man named Alex Horton who had cycled 5,000 miles across Canada in 2011 “to give back to an organisation that had done so much for him in his life and to show that issues with cardiac health don't have to mean the end of active lifestyle and following your ambitions”. On the other side of the world, a group of ‘Heartmoves’ clients in the small town of Quirindi in rural New South Wales, Australia led by Cardiac Rehabilitation Nurse Specialist, Robyn Lees, have been so inspired by the event that they have decided to walk half was round the world to meet the Inverclyde Globetrotters, the heart health group in Greenock who created World Walking, starting on June 11th to coincide with the National Heart Foundation of Australia’s “Go Red For Women” campaign. “I am delighted to see so many people taking part in the Heart and Sole Walk 2015. Remaining physically active after a heart related issue can be vital and I am proud that this event has helped to spread this message far and wide. It’s not every day that someone writes to you to say “I’ve been inspired to encourage my cardiac rehabilitation group to walk to meet the Inverclyde Globetrotters.” Especially someone on the other side of the world! But that’s exactly Robyn Leece, Registered Nurse and Cardiac Rehabilitation Co-ordinator / Diabetes Nurse at Quirindi Health One in Quirindi in New South Wales, Australia did back on 22 April. Robyn had read about the Inverclyde Globetrotters in an Australian Cardiovascular Health and Rehabilitation Association newsletter and thought this would be a great motivational tool for her ‘Heartmoves’ group of 20 to 30 cardiac rehabilitation clients and other community members. 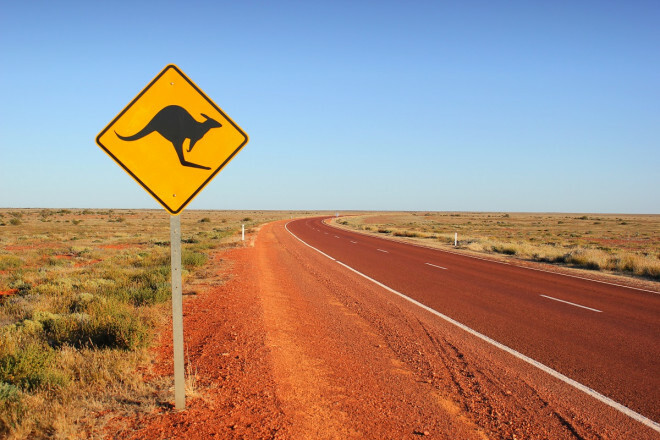 They’ve decided to start their massive 13,500 mile walk from Quirindi to Scotland on 11 June 2015 coincide with the National Heart Foundation of Australia’s “Go Red For Women” campaign. Pedometers have been organised and as enthusiasm has been building the ‘Heartmoves’ group named their group on World Walking the “Who’d a thought it Walkers” after the highest landmark in town, a hill that has a 360 degree lookout. They've adopted the motto “not by sudden flight but step by step” which is the motto for the local high school. Needless to say the Inverclyde Globetrotters were well chuffed and it’s been decided that the Inverclyde Globetrotters and the Quirindi ‘Heartmoves’ group will ‘twin’’. Well if cities and town can ‘twin’ why not cardiac rehabilitation groups? A special walk has been created on World Walking for the ‘Heartmovers’ to follow. We created World Walking with a community spirit in mind. We are delighted to welcome the ‘Heartmove’ group from Quirindi to our growing community of World Walkers and we look forward to watching their progress. The warmest of Scottish welcomes awaits them in Greenock! As a GP, our job is to offer the best to every patient, every time. There is one treatment that can extend life expectancy by 7 years, can help prevent and treat over 40 chronic diseases, can make you more productive at work, and evidence shows makes you happier on average. Although it sounds too good to be true, we have found that such a miracle treatment exists, and I frequently tell my patients, as well as my friends and family all about it. In fact I believe so strongly in it, that I will take it myself. Best of all there are virtually no side effects, and it is free. What is this wonder drug I hear you say? Many will have realised by now, that it is walking, or indeed any regular form of exercise. Building 30 minutes 5 times a week or similar into your life gets all these benefits, and you'll also help the environment and perhaps have a good catch up with friends or family if you persuade them to join you. The Royal College of Physicians and Surgeons, along with a range of other organisations are starting to promote walking, and physical activity as a key component of achieving good health, and are delighted to be doing a virtual walk with World Walking- so far we have walked from Glasgow to India- and we'd love you to join us for the rest of the journey. 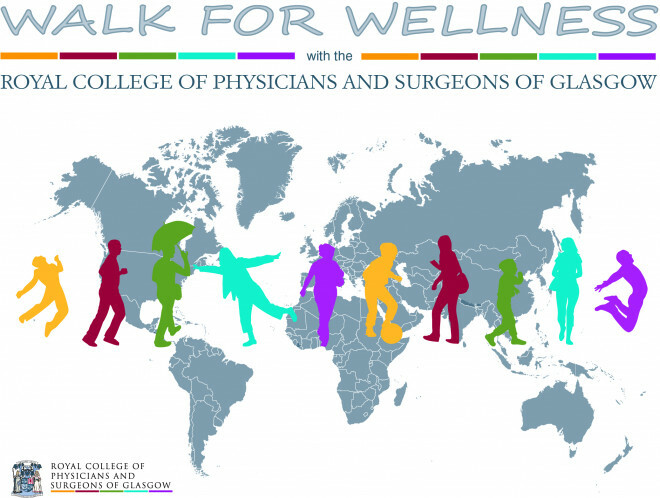 Just click on https://worldwalking.org/rcpsg. Or else join in any of the other fabulous walks on World Walking. Who are the Inverclyde Globetrotters? 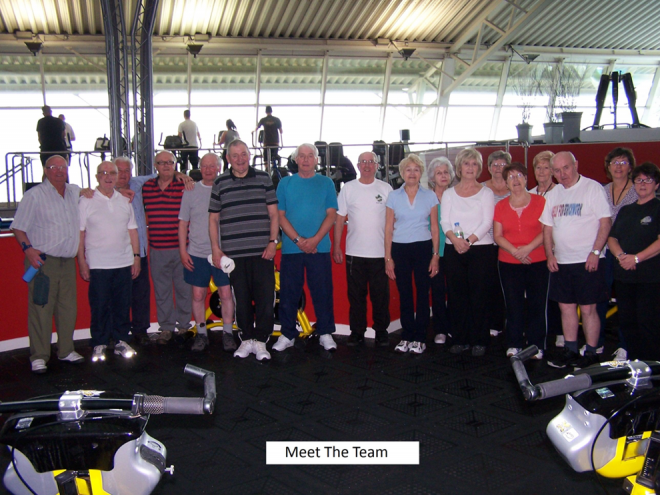 The idea for the Inverclyde Globetrotters came from our weekly gym based cardiac rehabilitation class in Greenock, Scotland. Our class is just one of many classes delivered by Inverclyde Leisure through the Live Active Exercise Referral Scheme that operates in our area. We now cater for a variety of conditions - although we still have more than our fair share of by-passes, stents and pacemakers. Everyone knows that as soon as you start walking on a treadmill time immediately slows down and you think, mistakenly, that by staring at the clock on the machine you can will it to go faster. So in February 2008 we decided to ask our members a question – “Would you be up for the challenge of walking round the world?” – Not the kind of question you get asked every day. Luckily, once they stopped laughing at the very idea of it, the members agreed to have a go. The aim of our walk was simply to encourage members to stay active between classes and accrue the health benefits that come from more walking and less sitting. We also hoped that achieving such a long term goal – a journey that would take years to complete - would provide a real sense of accomplishment. We gratefully accepted a box of pedometers from the cardiac rehabilitation team at Inverclyde Royal Hospital, bought a map, worked out a route and set off on our virtual journey round the world. We timed the start of our walk to coincide with the launch of the 2008 Scottish campaign to promote cardiac rehabilitation. It was our way of saying thanks. We contacted GB Olympic rowing legends, Sir Steve Redgrave and Sir Matthew Pinsent, more in hope than expectation, to ask if they would be kind enough to send a few words of encouragement and they did! Each week pedometers were handed over and steps recorded and distances walked, cycled and rowed during the class captured. We tallied up our figures and plotted our progress on our map. In May 2010, after 117 weeks on the road, having made it to Beijing in time for the 2008 Olympics, we arrived back in Greenock having clocked up 30,688 miles. Seven years on we’re still walking and have now clocked up over 130,000 miles [that’s over 5 times round the world!] to more than 100 countries worldwide without ever leaving Greenock.